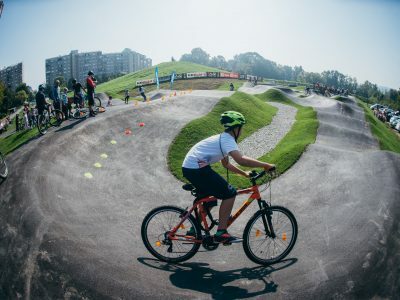 Third KoloPark in Slovenian capital is really magnificent – the whole object measures 2000 square meters, the track itself is 200 meters long and measures 700 square meters. 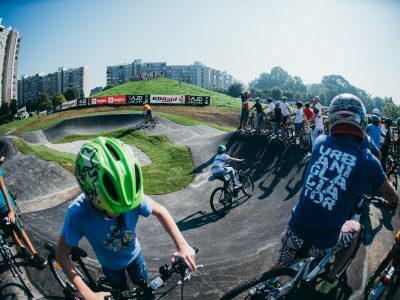 KoloPark Fužine is located under the small hill in Fužine district, a location well know to all the kids that like to play in the snow in the winter. 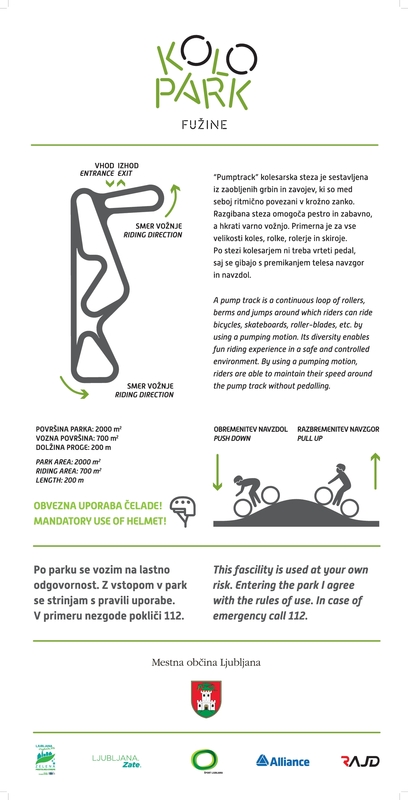 Track is easy accessible with a car from the direction of Fužine castle, free parking spaces are available right next to the track. 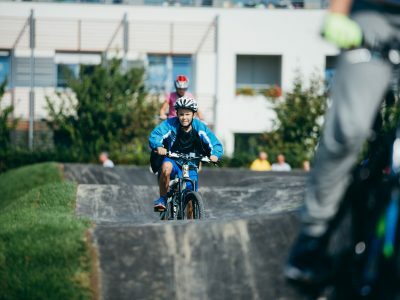 On a bike the track is accessible from multiple directions, just click on the location below. 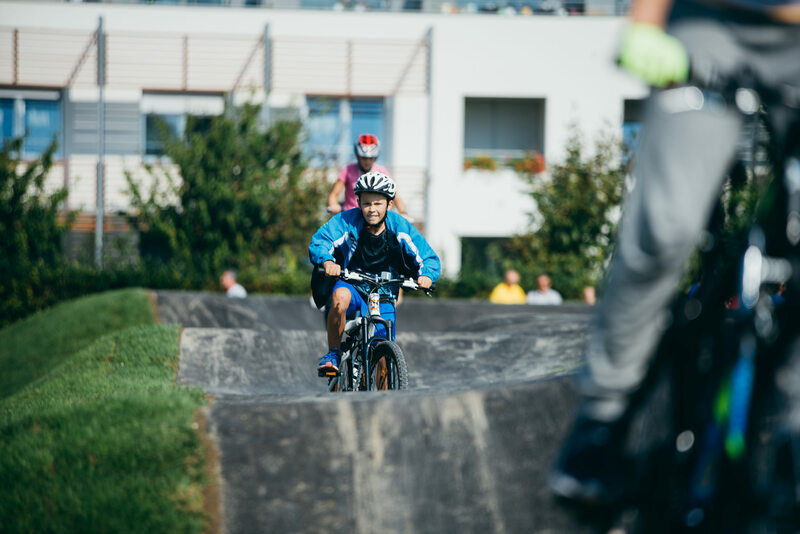 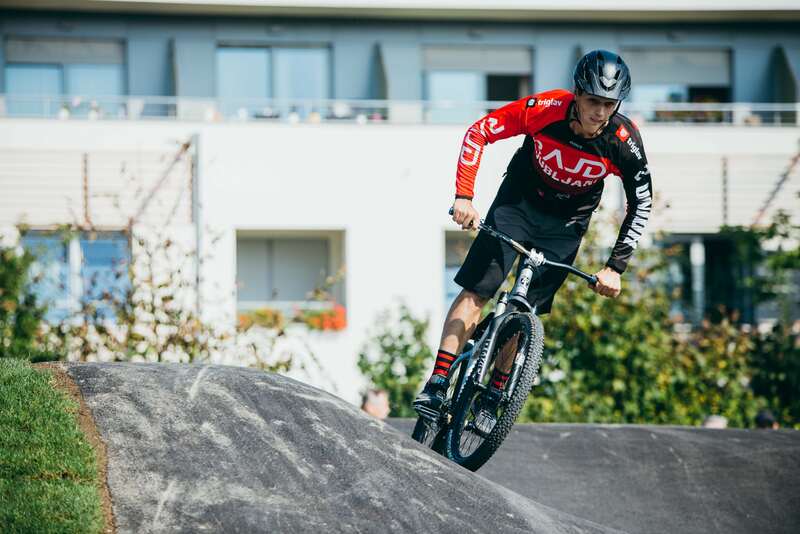 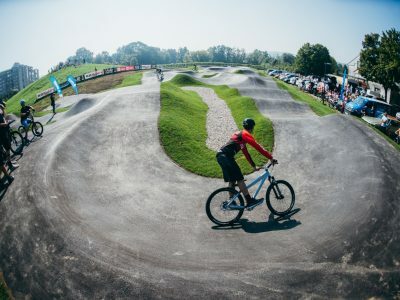 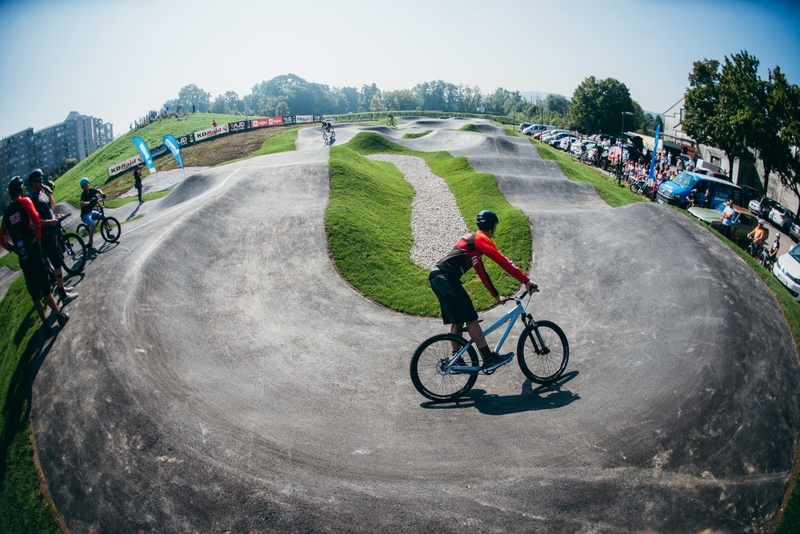 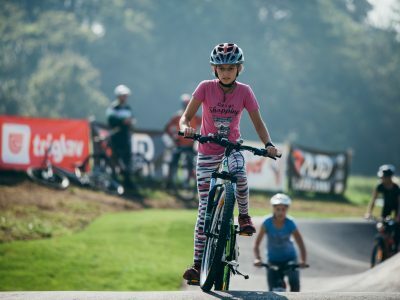 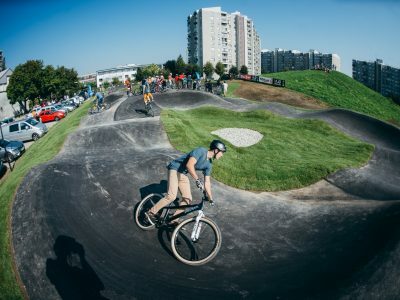 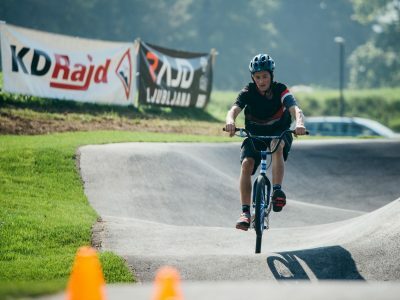 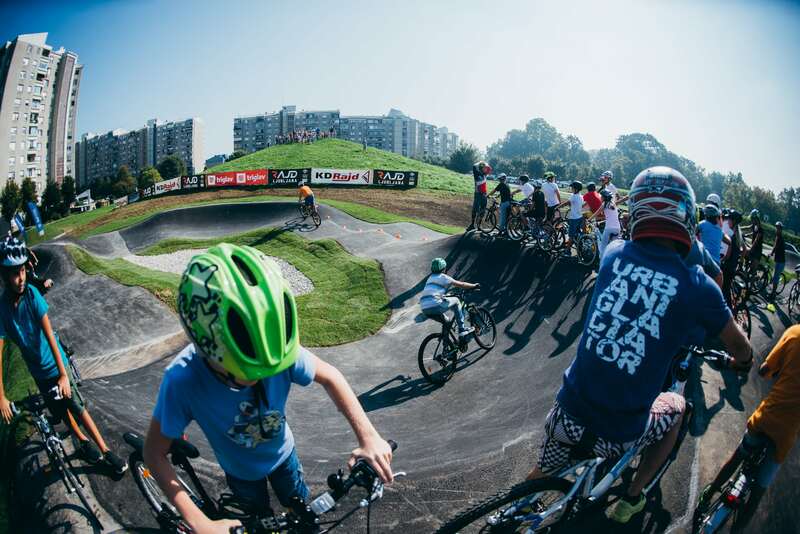 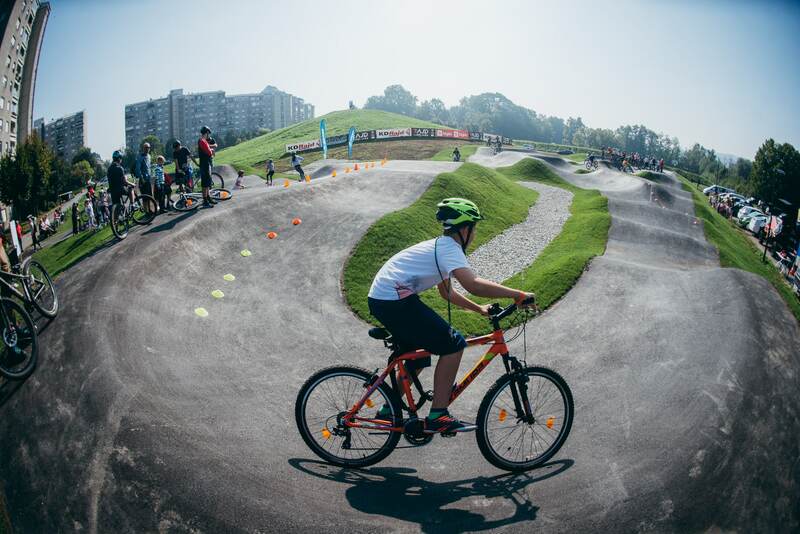 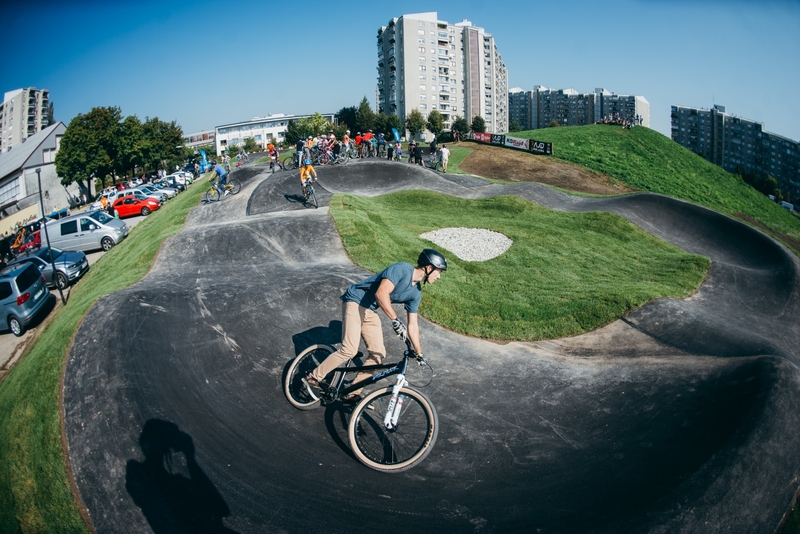 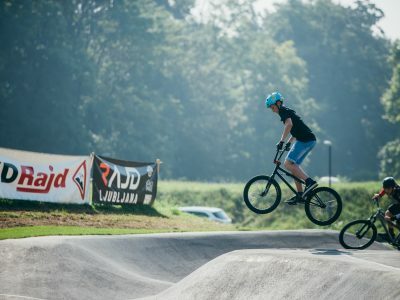 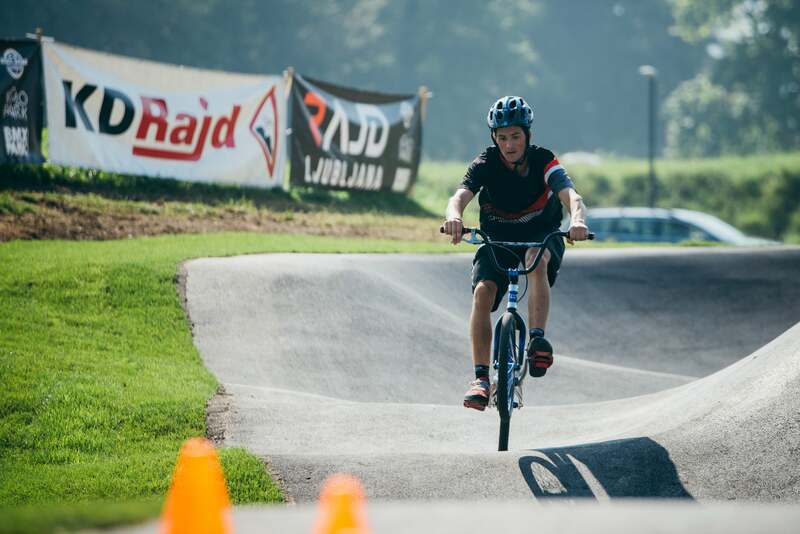 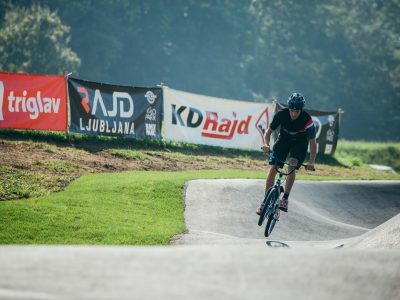 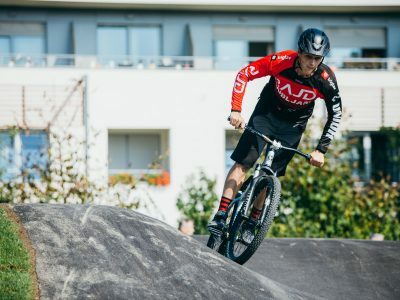 The latest & greatest pump track in Ljubljana is most suitable for BMX & MTB bicycles, but everybody with skates, push scooters, rollers, etc. 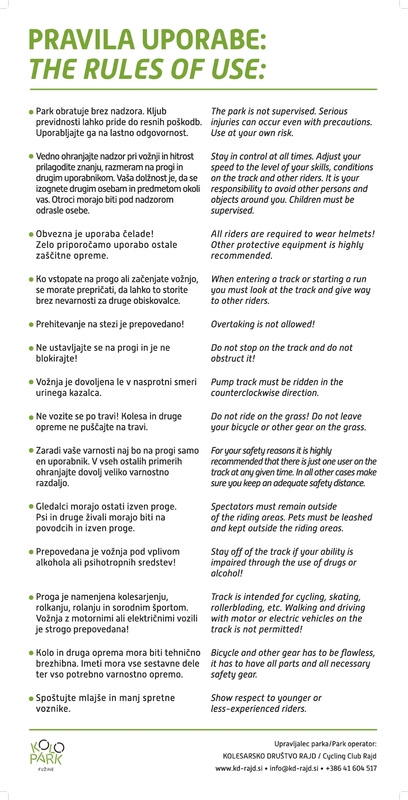 is also welcome. 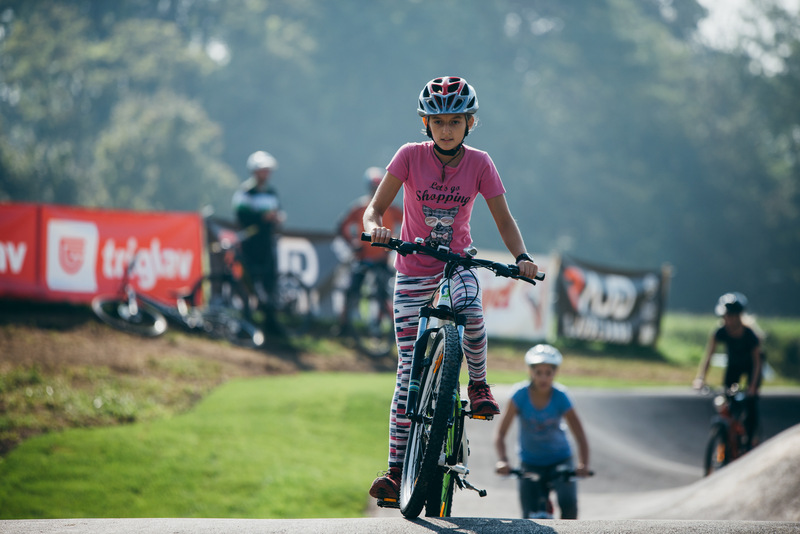 Track is designed for everybody from beginners to experienced athletes. 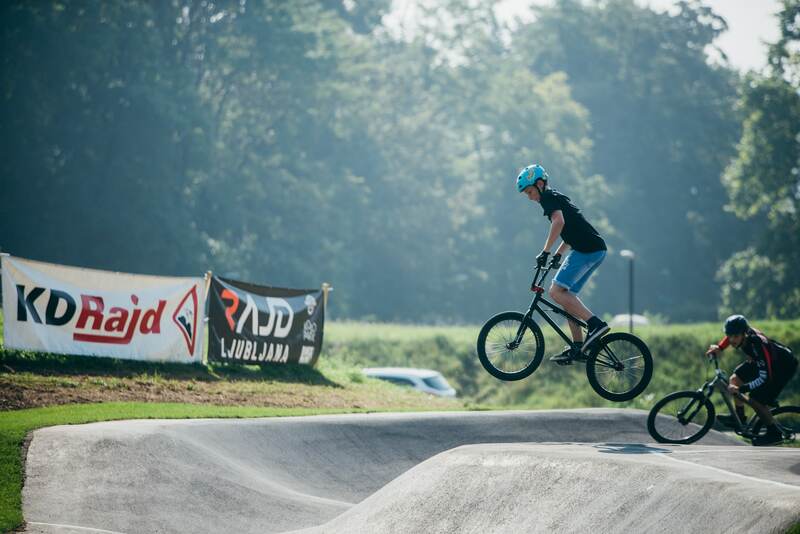 You should ride your bicycle on it without pedaling! 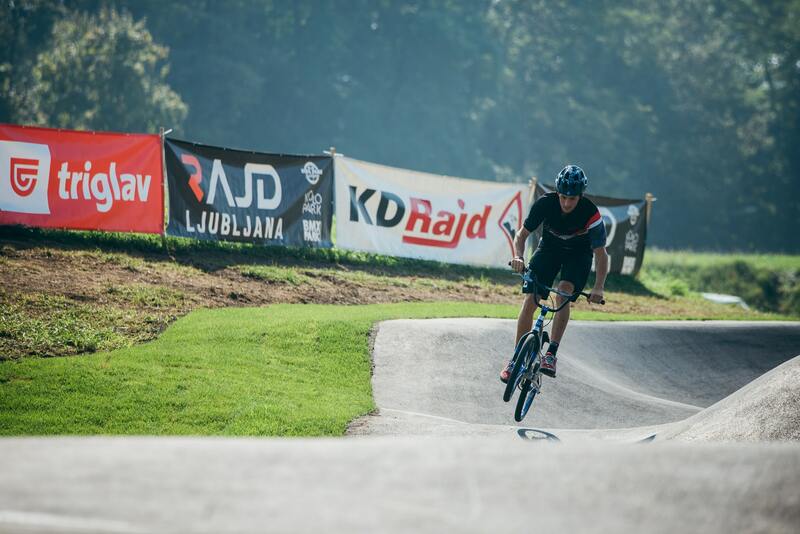 You only pedal once or twice when you enter the track, then you move your body to maintain and keep speed. 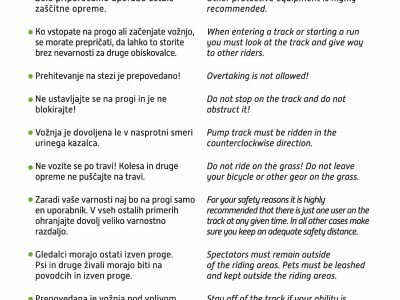 Track is easy and safe to use, you just have to follow the rules & instructions that are indicated on the sign next to the track. 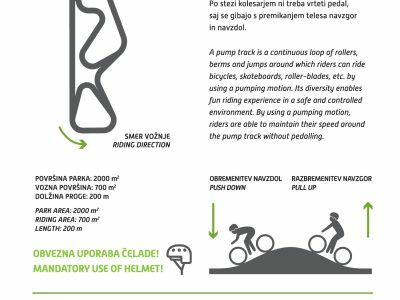 Use of the suitable helmet is obligatory for your safety, we also recommend the use of other safety equipment.